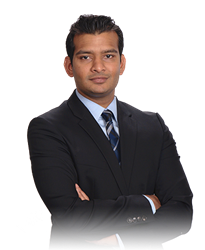 Dr. Praveen Kadimcherla with Atlantic Spine Center offers tips on what to expect from same day surgery to relieve chronic lower back pain stemming from spinal arthritis. Given that arthritis of the spine tends to develop over many years – and that patients may suffer with it over many more – the prospect of eliminating that pain is incredibly thrilling to them. About 8 in 10 adults suffer from lower back pain at some point in their lives and one of the leading causes is arthritis of the spine. Spinal arthritis is much more common as people age, although younger people may develop it after trauma or injury to a spinal joint or a genetic defect involving cartilage, says Dr. Praveen Kadimcherla, an orthopedic spine surgeon with Atlantic Spine Center. Arthritis and bone spurs in the spine which cause foraminal and spinal stenosis, are two of the top conditions that can be treated with a minimally invasive technique called lumbar foraminotomy if more conservative measures don’t work to relieve pain, such as weight loss, medication or exercise. Here, Dr. Kadimcherla explains this same-day surgery and offers tips for what to expect. While it has a big name, a lumbar foraminotomy is a relatively simple procedure, Dr. Kadimcherla notes. The outpatient surgery involves only a small incision to help release pinched nerves by removing offending surrounding material such as discs are gone. Arthritis of the spine – and resulting bone spurs – can pinch spinal nerves, he says. The effects then radiate along the nerves to the buttocks or upper thighs and include pain, tenderness and loss of motion. “Back pain and stiffness can also result in less flexibility in the spine, particularly when sitting, standing and walking,” Dr. Kadimcherla says. During a lumbar foraminotomy, a series of small surgical tubes of increasing size are inserted into the small incision in the lower back, allowing surgeons to decompress the problematic nerve root. Bone or tissue pressing on the nerves is then removed and the incision is closed with a few stitches. Given that arthritis of the spine tends to develop over many years – and that patients may suffer with it over many more – the prospect of eliminating that pain is incredibly thrilling to them, Dr. Kadimcherla says. Considered a “true” minimally invasive surgery because it’s also minimally disruptive to surrounding tissues, lumbar foraminotomy doesn’t entail cutting through muscles in the lower back. Combined with a small incision, this benefit greatly speeds patients’ recovery, Dr. Kadimcherla notes. Other benefits include the use of local anesthesia instead of general anesthesia; minimal or no blood loss; and minimal scar formation.